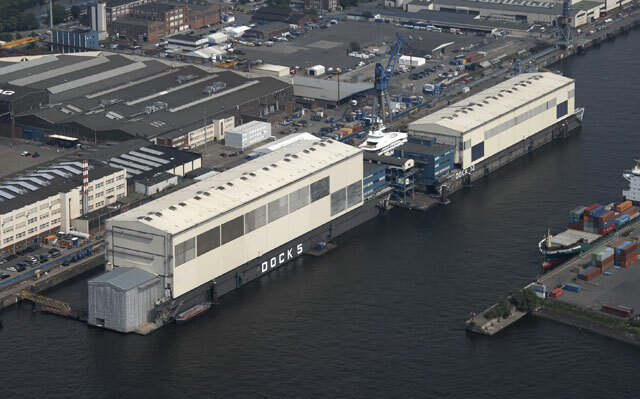 ThyssenKrupp, the parent company of Blohm+Voss, has canceled the planned sale of the superyacht shipyard to Abu Dhabi MAR Group. In October 2009, ThyssenKrupp announced it would sell an 80-percent stake in Blohm+Voss to Abu Dhabi MAR Group. The company stated that the financial crisis “created a need for decisive action in the civil shipbuilding area: Capacities in commercial shipbuilding had to be reduced, exports strengthened, and the problem in Greece solved.” Regarding the latter, last year ThyssenKrupp successfully divested a 75-percent interest in Hellenic Shipyards. The purchaser: Abu Dhabi MAR Group. According to a Dow Jones report, a ThyssenKrupp spokeswoman says other companies are already interested in acquiring Blohm+Voss. She declined to name them but did say the goal is to conclude the sale within the next 18 months.